The Pan American Squash Championships got underway in the Cayman Islands. 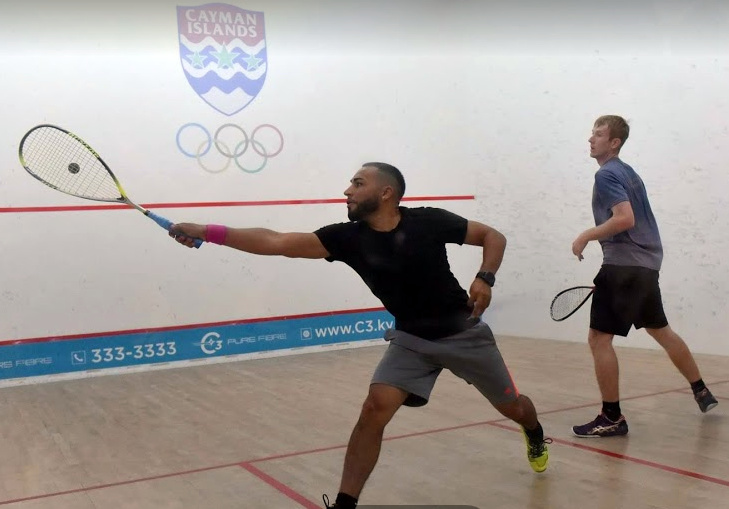 In Individual Men First Round action, Elijah Simmons went down to Joe Chapman from the British Virgin Islands in straight games 11-1, 11-3, 11-3 in a 15 minute battle, while Noah Browne needed 23 minutes to get past Nicolas Caballero from Paraguay in straight games 12-10, 11-3, 11-5 and Micah Franklin had an early finish after just 10 minutes after his opponent Dion Anselme from the British Virgin Islands retired, Franklin was leading the second game 3-2 after winning the first game 11-1. On the Ladies side Laura Robinson took to the court and fell to Maria Fernanda Pinot from Argentina in straight games 11-9, 11-5, 11-7 in 18 minutes, Alex Furtado lost her battle with Ashley Khalil from Guyana in straight games 11-7, 11-3, 11-3 after 14 minutes and Emma Keane fell after 24 minutes against Juliana Pereira from Brazil in straight games 11-5, 11-8, 11-8.